Scotland’s main farming organisations have joined forces to write to Cabinet Secretary Richard Lochhead to urgently seek a meeting to discuss the industry’s continuing concerns over the potential damage that could be caused by the lack of robust activity requirement which allows non-producing landowners to claim Basic Payment Scheme (BPS) support payments on seasonally let land. 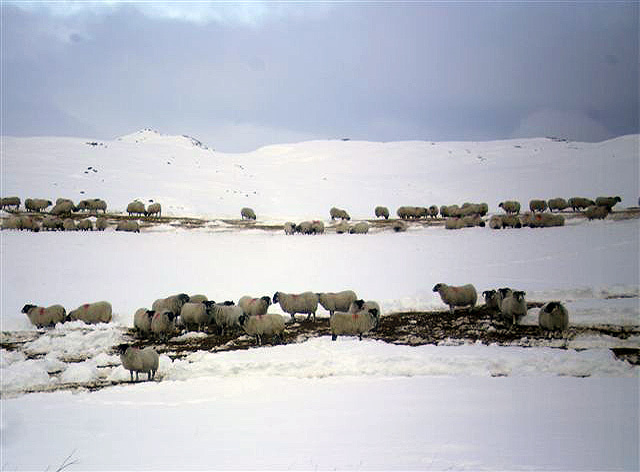 The joint approach from the Scottish Tenant Farmers Association, NFU Scotland, the National Sheep Association Scotland and the Scottish Beef Cattle Association, follows numerous calls from farmers to each of the organisations expressing frustration and disappointment as they face disruption to their businesses caused by the loss of grass lets and/or BPS and LFASS payments on seasonal grazing land. Commenting on the initiative STFA Chairman Christopher Nicholson said: “Seasonal lets represent about 15% of the tenanted sector and the movement of public support payments away from active farmers will have a serious impact on the livestock producers who rely on seasonal grazings. “There is also growing concern amongst tenants with limited duration tenancies (limited partnerships, SLDTs and LDTs) due to end in the next few years who can see that this behaviour of non-active landowners claiming support payments reduces the chances of non-secure tenants being able to renew viable long term leases for the future. “We are receiving calls for tenants and owner-occupiers from the length and breadth of Scotland who are facing disruption and uncertainty. The hardest hit are likely to be hill farmers, where increasing support payments provide a strong incentive for non-active landowners to make claims for support. While this is good news to the non-active, it is damaging to the active farming businesses who face the loss of BPS support and LFASS payments, putting at risk fragile hill livestock production. Speaking on behalf of NFUS Allan Bowie said: “The new CAP direct support payments should go to those actively farming the land. Support should be there to underpin productive businesses not simply a reward for owning land. As soon as the decision was made in Europe to move away from payments linked to production people who have animals but not control of the land are at risk of losing support payments. “We are concerned by the situation facing many of our members who are now losing access to land that they previously farmed. We will continue to work with the Scottish Government to close the loopholes in the EU regulations that tie support only to land rather than to farming and production. Commenting for the Scottish Beef Cattle Association Chairman Scott Henderson said that he wholeheartedly supported the joint initiative and looked forward to meeting with the Cabinet Secretary at the earliest opportunity. Small Landholder Act Surveys are closing on 20 May. The Small Landholder Act Surveys will be closing on the 20 May. If you have not completed your form, even to tell the Scottish Government you do not have a small landholder tenancy, it is important that you do so, to enable their records to be updated. The Scottish Government are surveying people that appear in their records as having a tenancy under the Small Landholder (Scotland) Acts. 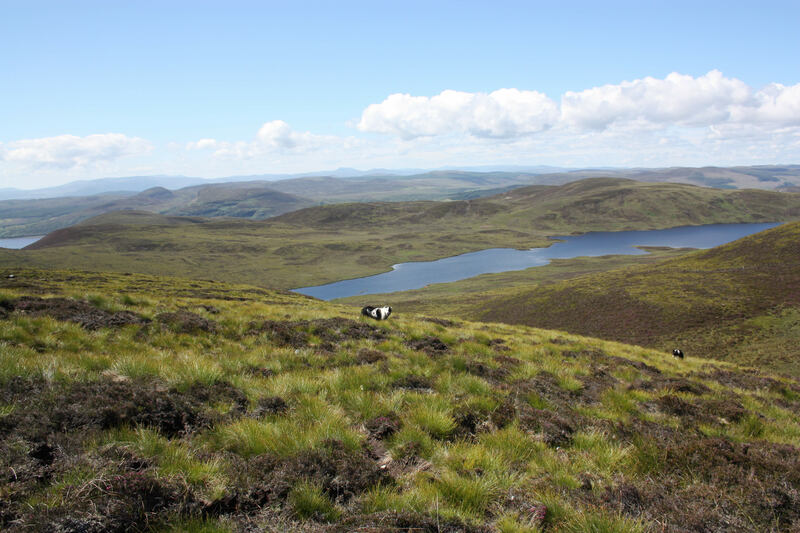 These surveys – which cover small landholders within and outwith Crofting Counties – are part of a process for gaining a clear understanding of the numbers, location and needs of small landholders, and informing policy moving forward. Farmers and crofters will have an extra month to complete form. 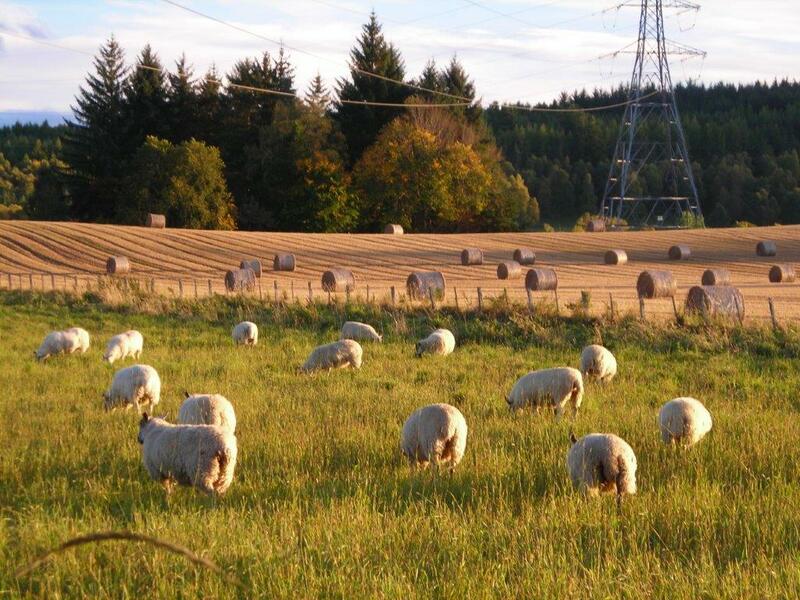 The Scottish deadline for farmers and crofters to submit their Single Application Form (SAF) has been extended, under flexibility from the EU, until June 15, 2015. Rural Affairs Secretary Richard Lochhead today confirmed the Scottish Government will allow farmers to benefit from the flexibility announced by the EU and expected to be approved next week, given the concerns raised by farmers and crofters about the complexity of the new system. The Scottish Government will make every effort to stick to the payment schedule. Mr Lochhead has highlighted that we need Europe to give flexibility on the inspection regime that has already been asked for by member states. Technical experts are continuing work to fix issues with the new Rural Payments and Services online system as quickly as possible after they have been raised. “Delivery of the new CAP is an absolute priority for the Scottish Government. The system is complex and has presented significant challenges in Scotland and across Europe – as shown by Commissioner Hogan’s announcement that a four week extension to the application window would be allowed. “Having carefully considered all of the options, consulted widely with those involved in agriculture in Scotland and taking into account the hard work going on behind the scenes to maximise the performance of our online system, I have decided to extend the Scottish application window by a month until the 15th of June, subject to the approval of EU legislation which is expected next week. “As part of our efforts to make payments as soon as possible we will look at all flexibilities permitted within the EU rules and I strongly encourage the EU to give additional flexibility, particularly around the inspection regime which has already been called for by other member states. The Scottish Tenant Farmers Association is calling on the Scottish Government to take action to prevent the creation of another generation of slipper farmers. Concerns expressed by STFA over the robustness of the activity rules have been vindicated by recent evidence of a subsidy grab as landowners seek to maximise potential income from CAP payments. Commenting on the situation, STFA Chairman Christopher Nicholson said: “ We have been receiving an unprecedented amount of calls over the last week or so from tenants and owner occupiers who are facing the loss of grass lets and/or single farm payment on seasonal grazing land to allow landowners to claim the payments themselves. “Although there are some cases where agreements have been made between landlord and tenant balancing single farm payment claims and rent, there are many more where the grazing tenant faces loss of grazing and/or single farm payment without consultation or warning. This is obviously deeply disruptive to businesses with some farmers having to make alternative last minute arrangements for grazing their livestock whilst facing a loss of income. “Many hill farmers who have traditionally rented hill grazings on an annual basis will be even harder hit. 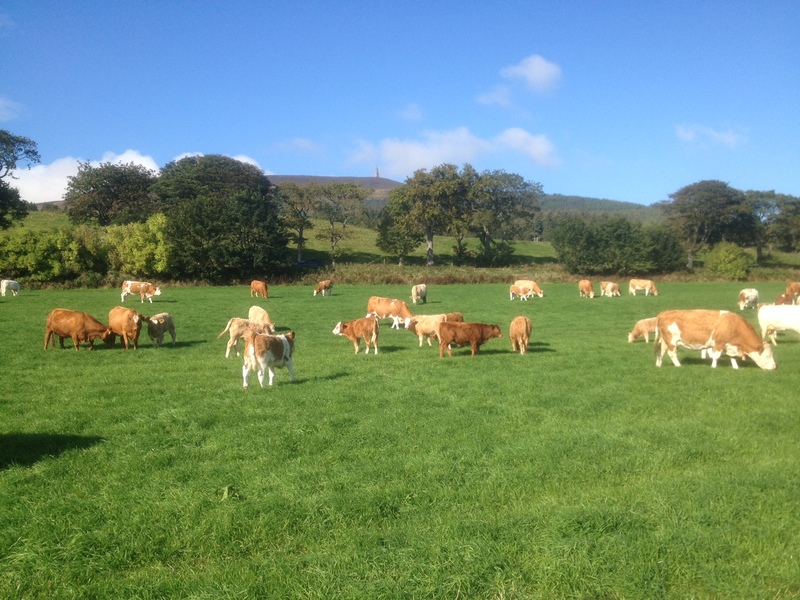 The new CAP regime, which will see some hill farmers receive substantial increases in their single farm payment, is encouraging landlords to take possession of the area payments on the land. This will be even more appealing to the landowner if the tenant continues to rent the land, often for the same rent, providing the necessary farming activity. Whilst this represents a bonanza for some landlords it is deeply damaging for the tenants who will face serious losses of single farm and LFASS payments putting hill farming on the cusp of viability. “What is galling for so many farmers in this situation, is that landowners are acting on the advice of consultants and land agents who, before the ink is dry on new regulations, have been working hard to finds ways to exploit them rather than trying to help make the system work smoothly and target much needed support to those who deserve it instead of helping to create another generation of slipper farmers. 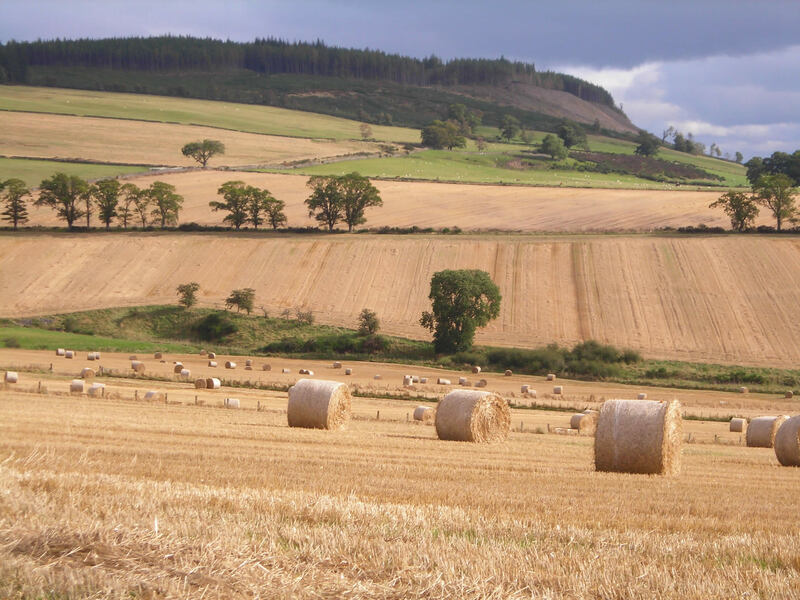 The Scottish Tenant Farmers Association welcomes the Cabinet Secretary’s announcement of his intention to appoint an independent tenancy advisor as an interim measure until legislation can be brought forward to establish a Tenant Farming Commissioner with statutory powers. Commenting on the announcement STFA chairman Christopher Nicholson said: “The news of the impending appointment of an independent advisor to the tenanted sector is timely as we head into the parliamentary process of reforming tenancy law. This announcement follows hard on the heels of reports that the Cabinet has agreed to introduce the Land Reform Bill before the summer recess. The confirmation today, that an Agricultural Holdings Bill will form part of the Land Reform Bill, has now signalled the firing of the starting gun on land and tenancy reform. “STFA is pleased that calls for a tenancy commissioner from all major stakeholders are being heeded. There is bound to be uncertainty over the next couple of years until the new reforms become law and it is important that interim measures are put in place to advise and guide the industry as well as keep a watchful eye on what is going on. It is also sensible for the embryonic commissioner to work with the three main stakeholders, STFA, NFUS and SL&E, rather than trying to recreate the TFF which included ancillary bodies representing professional advisors. After all, it should be those who rent out land and those who rent in land who make the decisions, not their advisors, many of whom appear to be totally out of step with the views of the farming industry. “We are also pleased that the Cabinet Secretary has indicated that the Tenant Farming Commissioner will have statutory powers. We believe that this will be a necessary ingredient to ensure that the office of Commissioner will be able to enforce codes of practice and impose sanctions where necessary. We believe that a firm hand will be needed to ensure fair play during the transitional period before new tenancy legislation is enacted in a year’s time. “Scotland’s landowners have already said that they will oppose some of the AHLRG’s recommendations and the evidence led by SL&E to the RACCE committee last week warning that the Scottish Government will be potentially liable to pay landowners multi-million pound compensation if they implement some of these measures can only be seen as intimidatory and threatening. “The RACCE committee and the Cabinet Secretary are right to view the ECHR opinion obtained by SL&E with scepticism. Smiths Gore’s calculation of the Scottish Government’s potential liability for in excess of £600 million is also unreliable. It is, by their own admission, based on weak data, using comparisons from another country and is at best a “guess-timate”. These threats do landowners no favours and only serve to harden hearts. SL&E’s time and money would be better spent waiting for government lawyers to sort the legal niceties and the draftsmen to produce the legislation before issuing dire warnings. The Scottish Government’s survey of tenants of Small landholdings heralds the potential start of long overdue reform for a forgotten class of tenant farmer, ignored by successive legislative reforms to the tenanted sector. 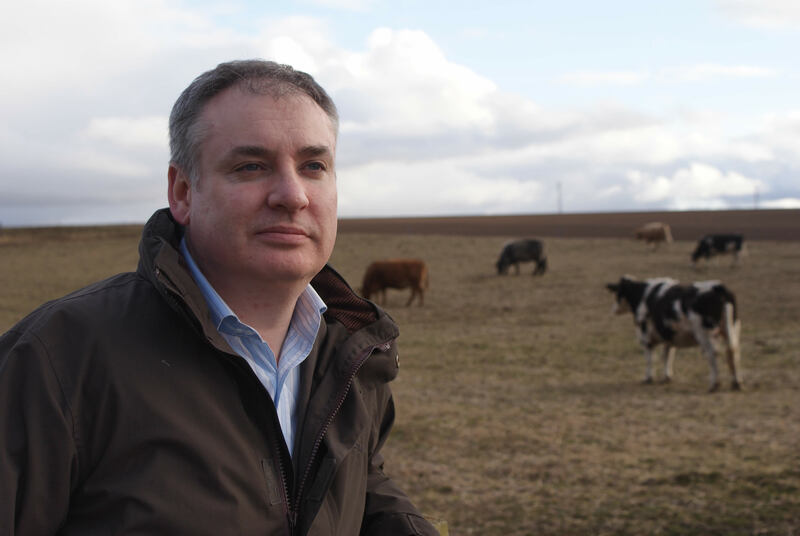 As a consequence of STFA’s lobbying, Cabinet Secretary Richard Lochhead pledged to look into the situation of Small Landholders and STFA is pleased that he is now honouring that pledge. The Government has, this week, initiated a survey of tenants of small landholdings in order to update its register of statutory Small Landholdings and as part of its commitment to modernise tenancy legislation. The survey is being sent to all those who have indicated on their IACS that they may be small landholders and STFA urges all who receive the survey to respond, whether or not they think they may be statutory Small Landholders under the 1911 Act. Government census figures estimate there may be as many as 118 Small Landholdings in Scotland, covering 5,000ha from Stranraer to Strathspey. Many of these holdings may not be statutory Small Landholdings and the government survey seeks to distinguish the differences between the types of small tenant. These tenants find themselves in a unique and unenviable situation – although they share similar rights of security with crofters and 1991 tenants, they have few of the benefits. They have had to provide the entire infrastructure of their farms; housing, buildings fencing and drainage but they have neither the rights of purchase of the crofter nor even the pre-emptive rights of the agricultural tenant. Moreover, they have limited assignation rights and little in the way of end of tenancy compensation. Small Landholders are still forced to operate under century old legislation which is in dire need of modernisation. Small Landholders have a similar background to crofters and the Crofting Reform Act 2010 tried to give small landholders in the designated crofting areas the right to convert to crofts. However, the legislation has proved to be too cumbersome and complex to operate and, as yet no small landholdings have been converted to crofts. The Small Landholding tenants are now looking for a simpler and more practicable route to give them the same rights as other tenant farmers and crofters. 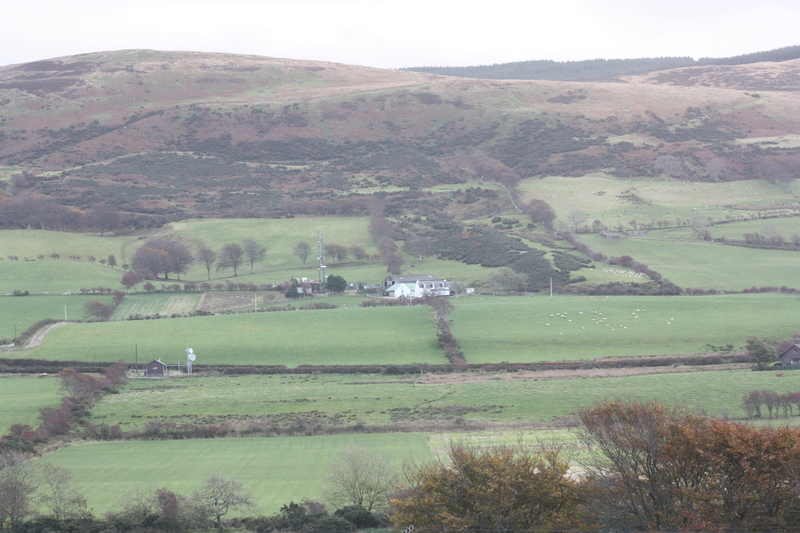 The Land Reform Review Group’s simple solution of granting these tenants a statutory right to buy similar to that enjoyed by crofters has yet to be taken up by government. Any small landholder who has any queries or anyone who has not received the survey form should contact Fiona Buchanan (Leslie) by email fiona.leslie@scotland.gsi.gov.uk or telephone 0131 244 9138 /07855 180858. In giving evidence to the Rural Affairs Committee of the Scottish Parliament the Scottish Tenant Farmers Association has stressed the importance of retaining security of tenure for future generations of tenant farmers and as an option for new entrants to the industry. Speaking after the committee meeting STFA chairman Christopher Nicholson said; “Heritable secure tenancies have been the keystone of Scottish agriculture for more than 60 years, encouraging tenants to invest and grow their businesses. These tenancies still satisfy demands for food security while also providing stability and continuity and have, in the past afforded most of today’s owner-occupiers the opportunity to buy their farms. “STFA strongly believes that this system of land tenure has an important role to play in contributing to rural communities and the food and drink industry. It is important that these tenancies are encouraged to continue by broadening family succession and by creating opportunities for new entrants and tenants on short-term tenancies to buy into existing tenanted farms. We have, today, made the case again for introducing the ability for 1991 secure tenancies to be transferred to non-family members which will create a whole new range of opportunities for the next generation of farmers. “We have been heartened by the interest that the members of Rural Affairs Committee have shown in the AHLRG report and their understanding of what is a highly complex subject. However, there are a number of recommendations in the report which have provoked extreme reaction from Scotland’s landowners. In its submission to the RACCE committee, SL&E have challenged a number of the Review Group’s recommendations on the grounds that they may be in contravention of the European Convention of Human Rights. They have furthermore estimated multi-million compensation claims that they would be seeking from the Scottish government if these recommendations were implemented. STFA believes this attitude to be unhelpful, seeking only to preserve landlords’ interests to the exclusion of any consideration of the human rights of others. Too often human rights are seen as a way of inhibiting reform whereas, there are many occasions where human right issues should actually be seen as a stimulus for progress. We would encourage policy makers not to be taken in by this blatant scare mongering and concentrate on bringing forward legislation in the best interests of Scottish agriculture and its rural communities. The Scottish Tenant Farmers Association is pleased that Scottish Land and Estates’ chairman David Johnston’s shares STFA’s view that a temporary ombudsman should be introduced before new tenancy legislation comes into force. Responding to Scottish Lands and Estates’ recent call for cross-industry goodwill, STFA chairman Christopher Nicholson said; “Tenants are obviously feeling uneasy as we head into a period of uncertainty before any of the tenancy review group’s recommendations are translated into legislation. There is general agreement that a Tenant Farming Commissioner (or ombudsman) should be established as part of the tenancy reforms, however, STFA believes that an interim body should be created in the meantime to see fair play and monitor behaviour in the sector. STFA is particularly concerned at the vulnerable position that the remaining 400 Limited Partnership tenants find themselves in and would like to see action taken to guarantee them a degree of security. “David Johnston has accused us of being adversarial and calls on us to produce evidence of bad practice, but we must reiterate that very few tenant farmers are prepared to openly complain about behaviour of landlords or factors and we are not prepared to publicly produce evidence which will expose them to repercussions. The negative reaction of RICS (the land agents representative body) to the AHLRG report and its opposition to almost all of the Group’s main recommendations does little to inspire the confidence of tenants and encourage plain talking. There is a strong case for professional advisers to be subject to audit so that any problems can be identified without tenants having to complain. “It must also be remembered that tenancy reform is not the only cause of instability, and uncertainty. The CAP reform has had a huge influence on the behaviour of landlords and tenants. The new CAP regime will produce winners and losers and it is likely that a new breed of sofa farmers will emerge claiming support payments with minimal activity. The sector has been subject to a great deal of manoeuvring over the last year or two as landowners have sought to maximise opportunities. We have seen tenancies brought to an end, rented land taken back in hand and seasonal grazings withdrawn from the market so it is no wonder that limited partnership and other tenants on short-term arrangements are nervous. “Measures have to be put in place to create confidence and STFA would be happy to engage in discussions over a temporary Commissioner and how to manage the sector over the next two years before legislative change takes place. Rent reviews will have to take account of economic circumstances with farm incomes expected to drop as commodity prices continue to fall and support payments are reduced. “Moreover, as tenancies come to an end over the next couple of years before the proposed amnesty on improvements comes into force, outgoing tenants should not be disadvantaged by missing out on fair compensation for their improvements at waygo. STFA has responded to the recent RICS media briefing lambasting land and tenancy reform. Amongst other things RICS has said that the tenancy recommendations “will increase disputes and confrontations between landlords and tenants. It may also result in fewer farms made available to let in the future”. STFA Chairman Christopher Nicholson commented: “In attempting to defend the status quo this ill-judged broadside from RICS Scotland is unhelpful and will cut no ice with Scottish Government who are committed to land and tenancy reform. Such damning criticism of the Agricultural Holdings Legislation Review Group’s Final Report is irresponsible and out of kilter with the wider industry recognition of the need for change. Furthermore, it is of great worry for the tenanted sector to see RICS Scotland take this defensive position given that their membership primarily represent landlord interests. “RICS Scotland’s efforts to whitewash bad practice is at odds with evidence collected by the Review Group. Despite the recent Land Agent’s Declaration where senior agents pledged to recognise industry led initiatives and codes of conduct, STFA continue to hear of cases where agents acting for landlords are ignoring best practice guidelines, and we would be prepared to share this evidence with an independent Tenant Farming Commissioner. “Tenants are unlikely to make official complaints against the actions of their landlord’s agents for fear of souring future relationships, and it is especially difficult for an individual tenant to make a complaint through RICS Scotland’s regulatory framework. “It is entirely unrealistic of RICS to believe that reliance on a complaints procedure will drive out bad practice amongst their membership, and only the naïve would think that a lack of official complaints indicates that land agents are complying with best practice. Key stakeholders in the tenanted need to develop a new approach to ensure that best practice is adopted by land agents which does not rely on complaints being raised by tenants or landlords. “This latest stance of RICS will come as no surprise to tenants, and reinforces the need for an interim Tenant Farming Commissioner to be put in place to prevent any attempts by landlords and their agents taking evasive action in advance of changes to tenancy legislation.